Got a lot of tiles on the start screen and feel you're wasting time while scrolling down to the last app? 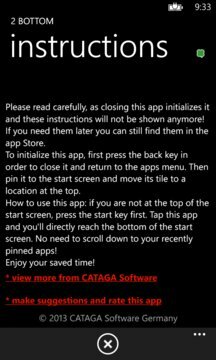 No need to remove your pinned tiles to be faster: this app helps you to quickly reach the bottom of the start screen with only one tap. Just follow the instructions on the initial screen. 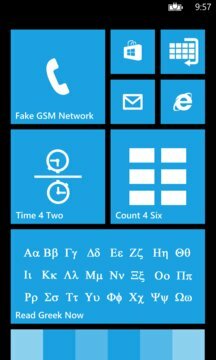 A small start-up delay is caused by the Windows Phone security checks.